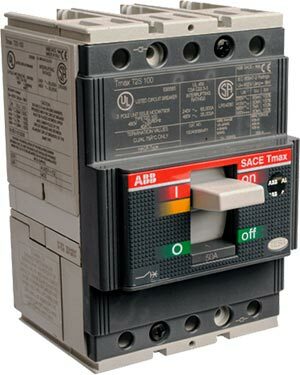 MCCBs and RCCBs are circuit protection devices with two different application. When the former protect against overload and short circuit, the later protects against Residual currents and electric shock. Moulded Case Circuit Breakers protect against overcurrent and short-circuits only unless otherwise, they have inbuilt residual protection. MCCBs trip as soon as it senses any short circuit or when an overload exists in the circuit for a long period. Overload rating of MCCBs can vary from 40 to 70 percent of its rated value. Some MCCBs comes with inbuilt residual current / earth fault protection (LSIG). These MCCBs are used as an alternative to the combination of Earth leakage relay and Core balance Current transformers, that is normally used to provide earth fault protection. Residual current values of MCCBs with LSIG protection can be varied from 10mA to 30A. MCCBs are available in single pole, two pole, three pole and four pole versions up to the rating of 2500A. 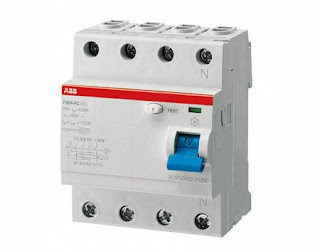 Residual current circuit breakers are used to provide protection against electrical shock. In a healthy circuit, line and neutral currents will be balanced always. Whenever there is earth leakage in the circuit or in the case of electric shock, there will be an imbalance between the line and neutral current. This imbalance can also be caused due to electrical shocks. RCCBs sense such imbalances and trips the circuit. RCCBs cannot provide protection against short circuit. Also, short-circuits can even damage RCCBs. Hence, it is recommended to use RCCBs along with Short circuit protection devices such as MCB or MCCBs to protect them against short circuit. RCCBs are available in two pole and four pole versions with an ampere rating of up to 160A with a residual trip current rating of 300mA.